If you crash a hypercar that’s one of only 750 sold and worth over three-quarters of a million quid, it’s likely to be a rather public affair. Particularly if that happens on a busy A road for numerous people to see and film the aftermath. 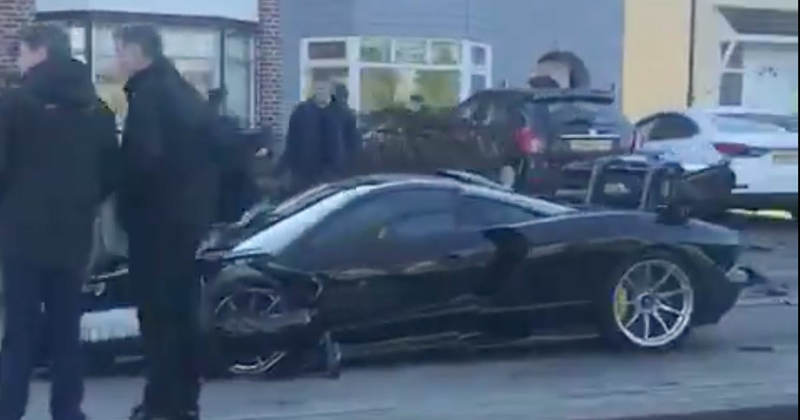 We’re talking about this poor McLaren Senna, which was involved in an accident in Southend, Essex on Thursday. Details surrounding the incident are scarce, but the McLaren appears to have hit another car - whether it was parked or being driven we don’t know, but the force of the impact was enough to push the other vehicle onto its side. ⚠️ Traffic Update: One lane of the A127 is still closed London-bound near Kent Elms due to a major RTC involving a McLaren Senna and two other cars. No one is said to be seriously injured. The good news is no one was seriously injured in the crash, and although the damage on the car looks severe, we suspect it’ll still be repaired due to the rarity factor. The bill will almost certainly run into hundreds of thousands. It’s not the first Senna to crash on the road. Another example was punted into a wall in Germany around two months ago, having only clocked 50km.